Children need extra protection in many areas, and the care of their eyes is no different. While most children have limited problems with their eyes, when there is trouble it can affect their overall learning and development, which is why pediatric ophthalmology is necessary. At Dr. Cooper Pediatric Ophthalmology & Family Eye Care, we treat a variety of eye diseases and condition in addition to providing optometrist services, such as the diagnosis of myopia, aka near sightedness, and fitting patients with glasses. 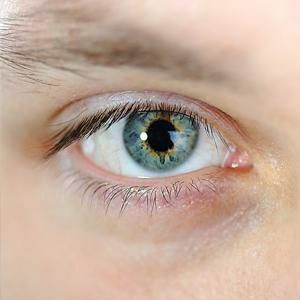 A visit with the ophthalmologist is necessary when a medical doctor is needed for assessing and treating more advanced diseases and conditions. Pediatric ophthalmology focuses on these conditions as they pertain to children. Pediatric ophthalmologists are specifically trained to be able to diagnose and treat conditions that children are more prone to, while approaching children in a way that increases their comfort level and that can compensate for a child's lack of ability to communicate their eye or vision complaints in the same way as an adult. When most parents think about taking their child to the eye doctor, they think of vision screening rather than a comprehensive exam by a pediatric ophthalmologist. The American Academy of Ophthalmology and the American Association for Pediatric Ophthalmology and Strabismus recommend that children receive a basic reflex test for newborns and older infants between six months and one year, a preschool exam to test vision and eye alignment, periodic exams as a child is entering school and if a problem is suspected. Vision screening can be conducted by an optometrist, at a child's doctor appointment, or even by a school nurse. 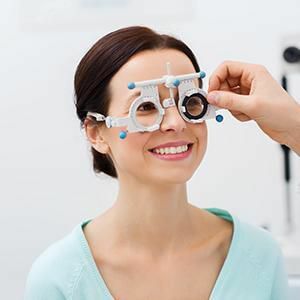 If there are problems with the alignment of the eyes, or other medical concerns, this is when it becomes helpful to work with a pediatric ophthalmologist as early as possible. Vision problems that children are more likely to suffer from include eye coordination, lazy eye, uneven focus, double vision, astigmatism, wandering eye, nearsightedness, and farsightedness. A pediatric ophthalmologist is better equipped to identify and treat these issues in the early stages and limit any affect they may have on the child's overall development. During a comprehensive exam the pupils are dilated and the ophthalmologist can better assess overall eye health. 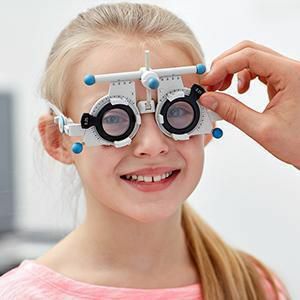 A parent may be asked to bring their child in for an exam if a vision screening can't be performed, is inconclusive, or if the child fails, or if their child has complained about abnormal vision behavior. Pediatric eye problems are also more likely in children who have a family history of conditions such as strabismus, congenital glaucoma or cataracts, amblyopia, neurofibromatosis, Down syndrome, juvenile idiopathic arthritis, retinoblastoma, or a behavioral issue. Dr. Cooper Pediatric Ophthalmology & Family Eye Care in Burlingame is a good choice for families because our staff includes both optometrists and ophthalmologists making us ready for all your family's eye care problems no matter how big or small they may be, contact us at 650-259-0300 to schedule an appointment.